Hello, I am happy to see you. 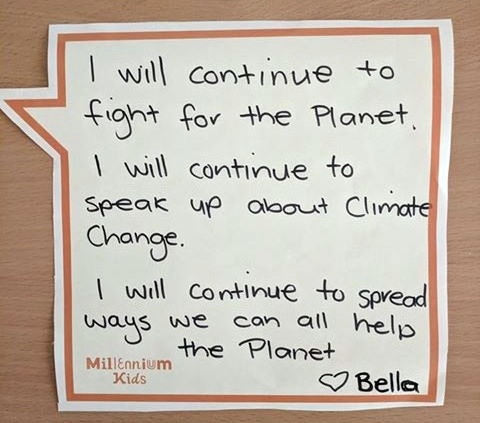 My name is Bella and I am 12 and I am worried about my future and the future of the planet! Children are concerned by Climate Change. Children are anxious by the changing climate. Climate change is real. Kids know this. Climate change threatens our future. What happens if we do nothing? If left climate change will cause average global temperatures to increase beyond 3°C and will badly affect every ecosystem on Earth. and threats such as food and water shortage which can lead to conflict on many levels. By the middle of this century, experts estimate that climate change is likely to displace between 150 and 300 million people. Climate Refugees! Doing nothing will cost us our planet but doing something gives us more jobs and reduction in greenhouse gas and climate changes for a positive sustainable future. But we need action now! This is the moment we have decided we must rise together and save our planet. We no longer have time to sit around and wait for our Politicians to make our future secure and address the global threat of Climate Change because we are here, and this is just the beginning. Right here, right now – is where we begin. 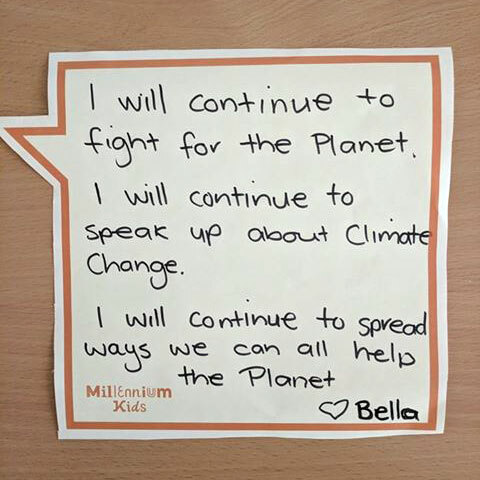 To our Politicians I say – Kids are making our voices heard today all around the world and this action will not stop. We call you to action. The time has come for you to step up and address the greatest threat to our future and the planet. We are giving up our childhood to fight for our future.